Childhood obesity is on the rise in the U.S. after all, according to a new report published in JAMA Pediatrics. Most alarming, the study finds an increase in the number of children with severe forms of obesity, whose body mass index measured 120- to 140-percent higher than children of average healthy weight. The analysis is based on 14 years of data from the National Health and Nutrition Examination Survey of 26,690 children aged 2 to 19. 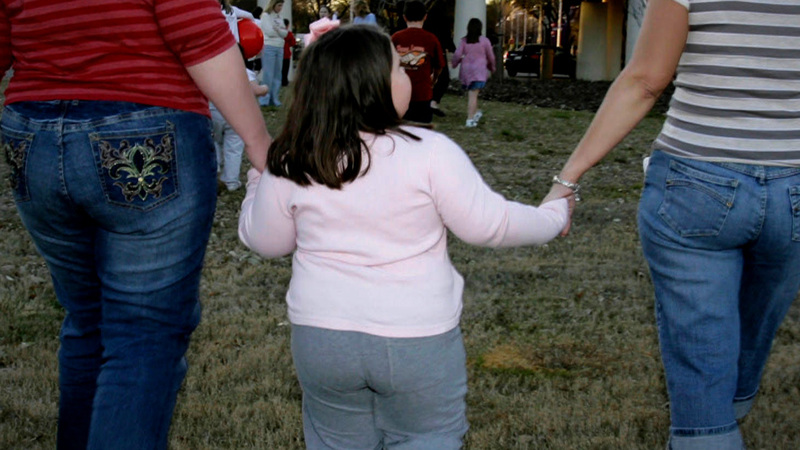 "Kids in the most severely obese group really need treatment that is medical treatment," Dr. Asheley Cockrell Skinner, the lead author of this study and assistant professor of pediatrics at the University of North Carolina School of Medicine, told CBS News. "There are a lot of programs that are family based, lifestyle programs for families that need to learn a lot." The study's findings may take many by surprise, given a recent highly-publicized report from the Centers for Disease Control and Prevention published in February in JAMA, which found obesity rates have declined in children aged 2 to 5, by as much as 43 percent. The paper found 17.3 percent of children ages 2 to 19 were obese in 2011 to 2012. Among this group, 5.9 percent of children met the guidelines for class 2 obesity, while 2.1 percent of children met class 3 guidelines. Class 2 and class 3 are the most severe forms of obesity. Though the analysis indicates the prevalence of all forms of obesity have increased overall, the rate increases were most significant among Hispanic females and black males. Overweight was defined as children with a body mass index (BMI) in the 85th percentile for age and gender, while obesity was defined as greater than or equal to the 95th percentile. Class 2 and class 3 obesity were defined as a BMI of 120 and 140 percent of the 95th percentile, respectively. For example, a 10-year-old boy who is 4.5 feet tall and weighs 95 pounds would be considered obese. At 115 pounds, he would meet the guidelines for class 2 obesity and at 130 pounds he would meet the guidelines for class 3 obesity. The authors of the study say the discrepancy between the two studies is due to the number of years accounted for in each paper. While the CDC also looked at data from the National Health and Nutrition Examination Survey, that report is based only on results from the last decade compared with Skinner's report, which utilized 14 years of data. Skinner and her fellow researchers acknowledge their study still provides relatively limited data on obesity rates by age, race, gender and family socioeconomic status. Additionally the authors of the report say more research must be done to examine childhood obesity trends on a state level. Though some public health initiatives for children are implemented on a national level, many are not. Therefore it's difficult to ascertain which state and city-wide programs are helping children to maintain healthy weight. "I think the possibility that kids are becoming more severely obese when they are younger, they are going to become sicker as younger adults," said Skinner. "We know with diabetes the younger you start the harder is to manage it. It makes me worry about what's happening in their bodes that's going to follow them into a adulthood." However, what experts do point out is the cost of medical care for obese children is significantly higher than care for a child in the healthy rage of weight. Another study published April 7 in Pediatrics, the journal of the American Academy of Pediatrics, found the lifetime cost of medical care for an obese child is $19,000 more than the cost of care for a child of healthy weight. More programs and initiatives that educate children about healthy lifestyle decisions might help cut down on pediatric medical expenses and also reduce spending on medical care for adult onset health conditions such as diabetes and heart disease.